Fancy a game of ping-pong? 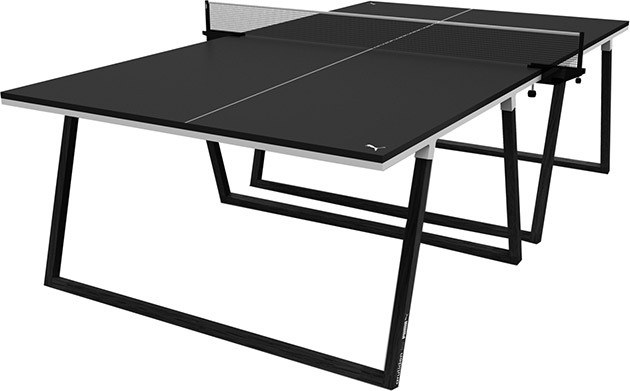 Play in style with Puma’s Table Tennis Table ($1,900). Designed by New York-based manufacturers Aruliden, the table is furnished with a matte-black finish and steel mesh net. Not only will this table add to the fun, but it will look great in your game room as well. Get up and get a game in, it’s a nice change of pace from sitting on your couch playing videogames, Facebooking, and watching television.